The first time I went inside the Reedley Museum was with my daughter’s class in elementary school many years ago. When I worked for the Reedley Exponent I was there often as they are a fountain of information about Reedley’s interesting past. Recently I sat down for a chat with their current Curator, Karey Olson, to touch base with all they have to offer. Karey has been a volunteer with the museum for six years. KRL: Why did you become personally involved? Karey: My father had been a volunteer with the museum, and I was interested in the project he was involved with. He was conducting taped interviews with people who had lived in the Reedley area all of their lives. They shared so much interesting information about the town, people, places, and events of times past. When I retired I found I had some time and an interest in helping to preserve a bit of our local history, so I volunteered. KRL: When and how did the museum first come to exist? 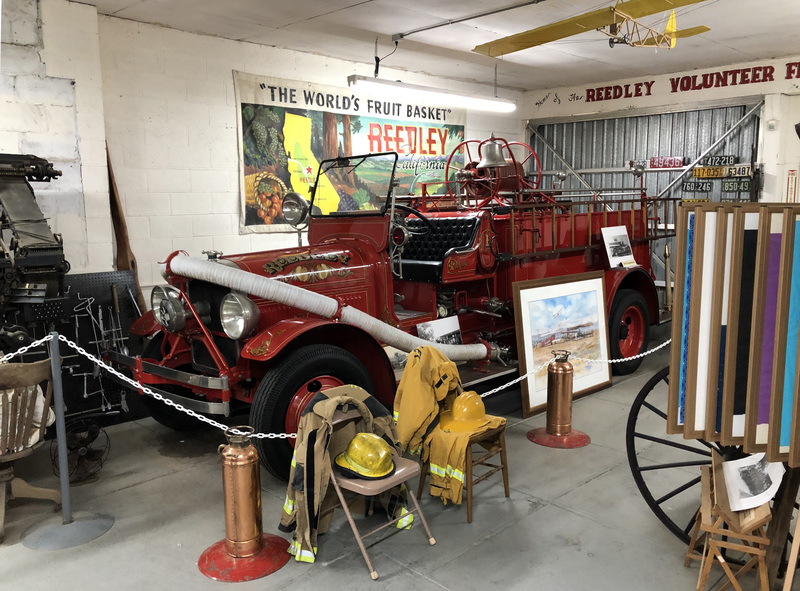 Karey: The museum was started by a group of citizens who recognized a need to preserve Reedley’s history, and have a place to display items with historical significance. It all started in October of 1979, so we will be celebrating our 40th anniversary this year. KRL: Where is the museum located, and does that building have any historical significance? Karey: The museum is located at 1752 10th street, right beneath the city water towers. The building which houses the museum is of historical significance. It was built in 1917, and served as the City Hall, Police Station, and the Fire Station. We do have areas with pictures and display items illustrating those uses, including a fire engine with firefighter’s gear. KRL: Why do you feel that the museum is important? 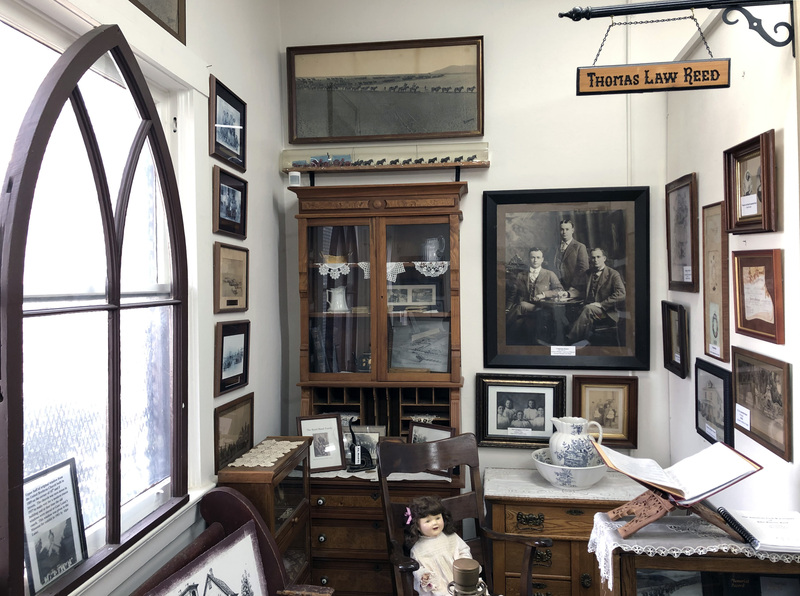 Karey: I don’t think that there is any question about the value of preserving things from the past, but we must recognize the part that they play in the education of future generations. To read about things from the past may raise the interest of children, but actually seeing, first-hand something from that era really piques their interest. I’ve seen this with the children who come through the museum. Their questions indicate an interest in learning about who used this, when was it used, how did it work. An example of this would be the children’s interest in our “Phone Room,” and two items that provoke many questions: the Phone Booth and the Rotary Phone. These things that most of us have used in the past, are puzzling to a child in this age of technology. This is just one example of what can be learned from a visit to the museum. The volunteers are there to give information about the exhibits and to answer questions. KRL: Who runs the museum? 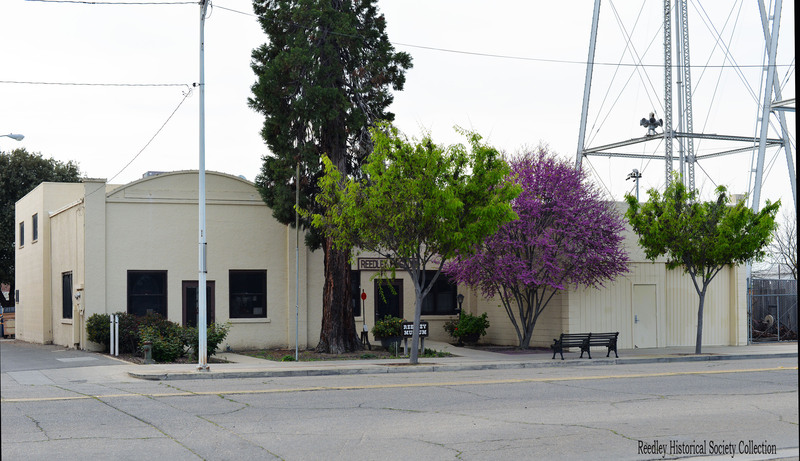 Karey: The Reedley Historical Society oversees the operation of the museum. There is a governing Board made up of elected officers from the membership. KRL: What types of things do you have on exhibit? Karey: The museum is divided into seven different areas, each with a different theme. They are as follows: Turn of the Century room, Native American room, Wagon room (which itself has at least seven different areas of interest), Tool room, Revolving room (which has ever-changing topics of display), Phone room, and the outdoor display of farm equipment. KRL: Do these change often? Karey: We do try to change our displays by adding new items that we receive, recognizing holidays, local events, local persons of note, and anniversaries. KRL: What other organizations or events are you—and the museum—involved in? 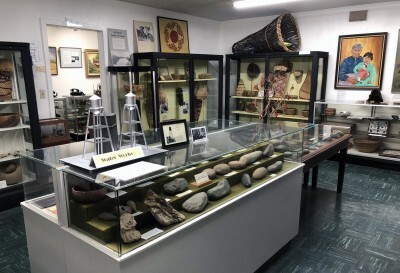 Karey: The museum works with the Chamber of Commerce, the Police Department, the Fire Department, City Hall, Kings Canyon Unified School District, and other community groups. KRL: How many people are involved? Karey: Our membership numbers are as follows: 250 Regular Members, and 80 Life Members. KRL: Are you all volunteer? Karey: We, who work in and for the museum, are all volunteers. KRL: What does it cost to visit the museum? Karey: There is a $1.00 donation to come to the museum. This helps to maintain the facility. KRL: What hours are you open? Karey: The museum is open Tuesday and Saturday from 9 a.m. to 12 p.m.
Karey: We are excited about a new exhibit that we are putting together right now. It will be honoring “The Greatest Generation.” With the 75th anniversary of D Day, this would be a great opportunity to recognize the people from that generation, many of whom are in their 90s now, who live in this community. We will be featuring the different roles that people played during the war effort overseas and at home. We want to honor those local individuals who served in different capacities during a very difficult time for our nation and the world. Who were they and what made them “Great”? Hopefully, with the help of the people of Reedley, who may have information about some of these people, pictures, or items to loan for display we will be able to answer those questions. We are doing a series of articles on those that serve the City of Reedley in some capacity. You can find more of this series in the Community section of KRL. We have spoken with the Chamber of Commerce, the Reedley City Manager, and Reedley’s Chief of Police Joe Garza so far, if there is anyone related to the city that you would like us to talk to mention it in the comments below.